Maiden dates from April 1881 when Snow and Kemper established a townsite. They named the proposed town after the daughter of a friend, Mrs. James H. Conings, who they call the "Little Maiden". The town of Maiden was not platted and surveyed. Rather lots were delineated and claimed by the simple expedient of building fences around them. 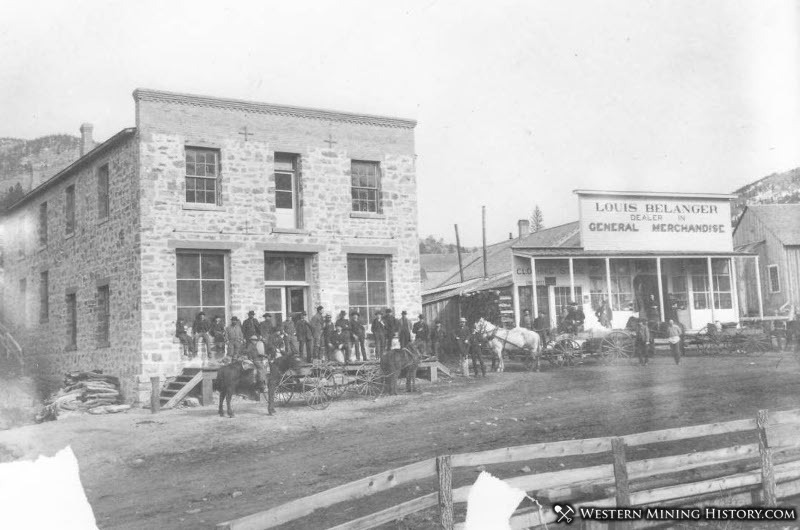 By 1882 the town boasted a number of log and lumber houses, eight saloons, two clothing stores, five general merchandise stores, a dry-goods store, a butcher shop, a blacksmith, two barbers, a feed stable, a lawyer's office, a doctor, a hotel and a restaurant. The attorney was S. C. Edgerton, the son of Montana's first territorial governor. In 1883 the town's existence was threatened by the U. S. Army. Because the town was situated in the Fort Maginnis Military Reservation, the army posted an order that all persons and personal property must be vacated from the Reservation within 60 days. After a hasty meeting a protest petition was drafted. After careful consideration, the Army relented and reduced the size of the military reservation so that Maiden and its mines were excluded. By 1885, Maiden had grown to the point that it sought the county seat of the newly created Fergus County. The town had grown to the point that it had 13 saloons, a newspaper, a Cornet band and a population of several hundred. The town was laid out on three streets and had every indication of prosperity. However, the county seat was awarded to Lewistown. In 1886, the town joined in the rising hysteria aimed at the Chinese populations in mining camps. Several meetings were held in the first weeks of the year on how to deal with the situation. Warnings sufficed to dislodge the majority of the sojourners. However, when the published deadline was reached a group of armed, masked men escorted the last Celestials out of town. The affair was conducted peacefully and the displaced men were able to send for their belongings the next day. The town newspaper pointed with pride that the deed had been done with no violence or vicious passions. 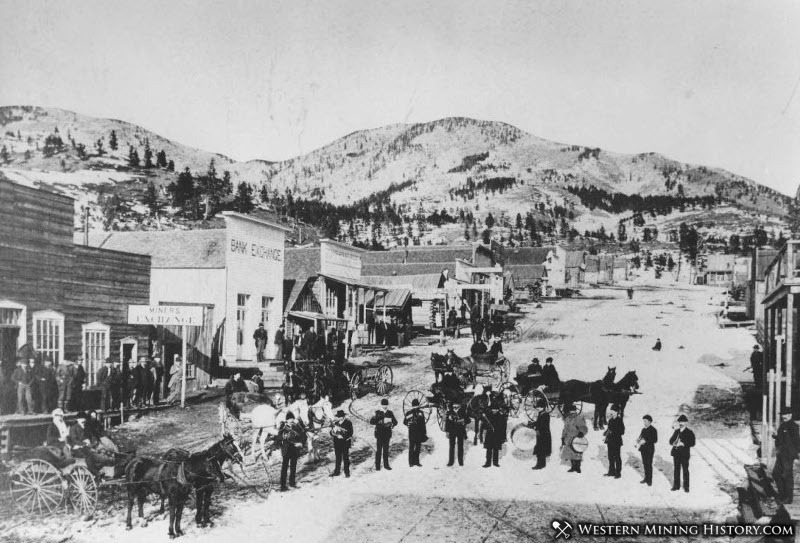 The population of the town peaked in 1888 with a population of about 1,200. However, after the 1880s, the town slowly withered. Some mines shut down and others were worked by lessees. Buildings began to stand vacant. 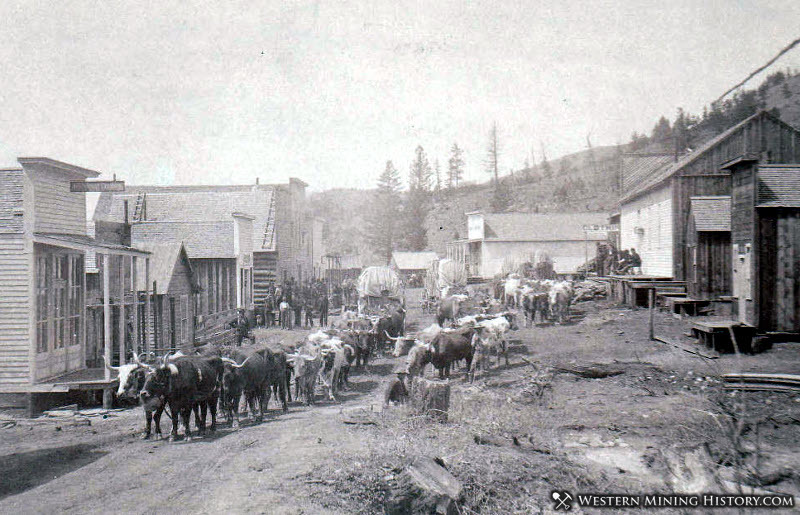 In 1896 the town contained fewer than 200 people. 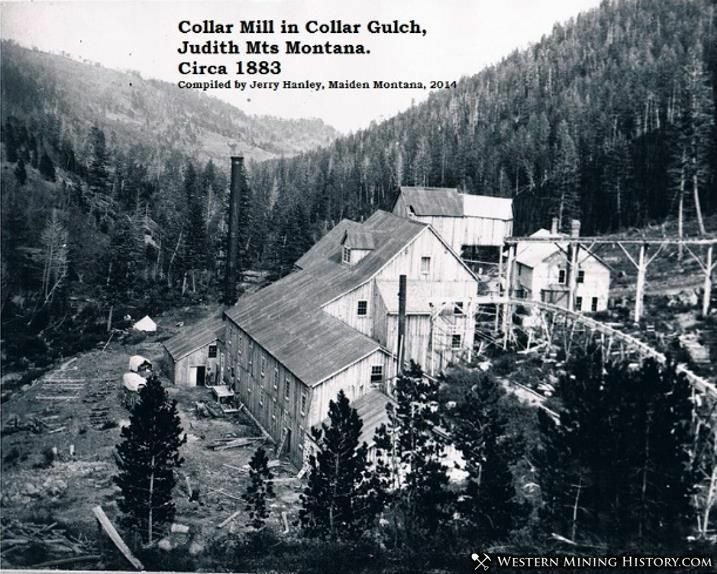 In 1905, a fire swept through the town and there was no interest in rebuilding.